We are equipped with the latest cutting machinery in Melbourne, and can perform precision fabrication and cutting. Our projects are done in house, with the utmost accuracy and razor sharp perfection. We offer laser cutting services to our clients in Australia and all of its cities. Our CNC laser cutting technology is facilitated to cut large or small industrial chunks from sheet metals with perfect accuracy. 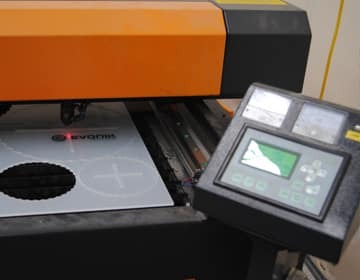 Laser cutting is used in many industries for manufacturing and forming precise details from different materials. Whether it is a thick chunk of sheet, or tiny and precise detailing, we can do it. With our laser cutting in Melbourne you can create separate parts from several materials. Our systems allow you to achieve complex designs that are impossible to create manually. With vast industry experience in the highly competitive industry of laser cutting, we have earned ourselves an impressive clientele. Our laser cutting services are able to comply with any of your drawings or specifications. Given the global challenges and dynamic market, we have trained our staff to be aware of the cost, quality and deliverables. We ensure that our clients are satisfied and happy with our work throughout Melbourne and Australia.